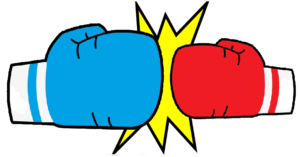 Waterfal vs. Agile - When is constant communication important? Waterfal vs. Agile – When is constant communication important on a project? Waterfall vs. Agile – When is constant communication important on a project? Unlike Waterfall, an important aspect of Agile is constant communication between the product owner and the team. Constant communication can reduce wait time for sending and receiving information, improve the quality of your requirements backlog, and can reduce misunderstand between what is delivered and what is required. When you do not have all the business needs identified. When you are on a tight schedule and require information ASAP. If the product owner/client updates requirements frequently. When you want to avoid delays in sending and receiving key information. I receive a recurring monthly request to update product prices on a sales database. I create a website for a client; I use a standard template and add client specific information. I receive a request to update information on a sales database; updates are required to be rolled out over a series of weeks, and my team is not static, so I need to schedule resources based on availability per week. I am creating a website for a client; they want custom features added; they have a limited budget and unable to add everything they want, and they need to determine what features to use (offer the most value). Tagged with Waterfall vs. Agile.